NEW ORLEANS – Conference championship weekend is finally upon the collegiate indoor track & field world with top-level competition taking place in all corners of the country. Chief among this weekend’s championship meets is the SEC Championship in Fayetteville, Ark. – site of the 2013 DI Indoor Track & Field Championships in a couple weeks and this week’s DI Meet of the Week. SECs will serve as a mini NCAA Championships preview in a number of events, with nearly every event stacked with top-25 talent. Both the Arkansas men and the LSU women – top-ranked among their respective genders – will face a conference with more than 20 percent of DI’s ranked teams between both men and women. Many other conference championships are getting underway, most notably the Big 10 meet with four men’s teams in the top 10 and the Big 12 with three men’s top-10 teams and another women’s top-10 squad. Allendale, Mich., will be a hotbed of DII action in the throws and the pole vault as Grand Valley State hosts the DII Meet of the Week GLIAC Championships. Across Lake Michigan and to the North, DIII’s Meet of the Week will take place in Stevens Point, Wis., as the top-ranked UW-La Crosse men’s and UW-Oshkosh women’s teams compete against a bevy of top-25 teams at the WIAC Championships. Hotly contested and intriguing conference championships will take place across the nation this weekend, but it’s difficult to argue that any will be as intense as the SEC Championships in Fayetteville, Ark. Eleven teams ranked in the most recent USTFCCCA National Team Computer Rankings – more than 20 percent of all DI ranked teams – will be gunning for an SEC crown, including the top-ranked men’s and women’s teams in Arkansas and LSU, respectively. The women’s field is especially loaded, with six teams ranked inside the top 15. The SEC’s reputation for producing world-class sprinters, hurdlers and jumpers is well documented, and this year’s edition of the SEC Championship promises to prove a worthy addition to that legacy. The men’s 60 meters could feature as many as 10 of DI’s top 25 sprinters at the distance, led by Auburn’s Marcus Rowland and Missouri’s Markesh Woodson at 6.63. Each of the aforementioned 10 have recorded qualifying times between 6.63 and 6.69. The women’s 60 could pit eight of the nation’s top 25 against one another, including current collegiate leader and defending The Bowerman winner Kimberlyn Duncan of LSU. Duncan’s primary focus will be at 200 meters, a distance at which she has won back-to-back indoor and outdoor NCAA championships. She suffered her first defeat by a collegian in 19 races at the hands of UCF’s Aurieyall Scott two weekends ago on this very track, and will look to regain her national lead in the event this weekend against a field of as many as eight other top-25 sprinters. The men’s 200 may be the most heavily loaded event of them all, with 11 of the nation’s top 25 coming from the SEC. Texas A&M’s Prezel Hardy, Jr., and LSU’s Aaron Ernest are No. 2 and 3, respectively, among collegians and are separated by just .01 (20.78 to 20.79. respectively). Also in the field is defending indoor 200 NCAA champ Ameer Webb of Texas A&M. Men’s 60 hurdles – Two-time defending SEC champ Eddie Lovett of Florida and Caleb Cross of Arkansas are currently tied at No. 2 in the country with 7.65 qualifying times. Men’s 4×400 Relay – The top three teams in the country (Florida at 3:05.93; Texas A&M at 3:06.25; and Arkansas at 3:06.26) will go at it, all of them entering within a third of a second of one another. 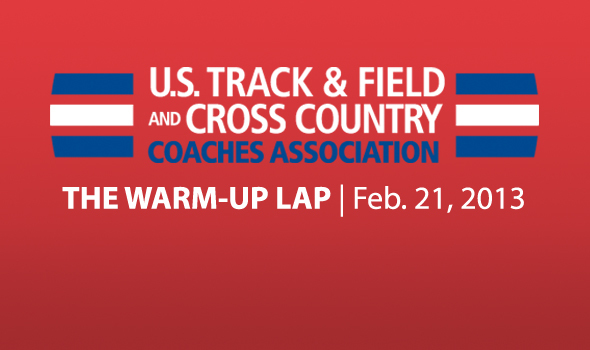 Men’s horizontal jumps – All of the top-five long jumpers in the nation will participate, headlined by collegiate leader Marquis Dendy of Florida. In the triple jump defending NCAA champ Omar Craddock of Florida and Tarik Batchelor of Arkansas are tied for the national lead at 53-9 (16.38m) and will go for the tie-breaker. Women’s high jump – Jeannelle Scheper of South Carolina is tied for the DI lead in the event at 6-3¼ (1.91m), and has a legitimate chance to break the SEC Championships record of 6-2 (1.88m) set most recently last season by Krystle Schade of Alabama. Scheper will have a field of five other women who have cleared six feet that could help push her toward the record and the national lead – or beat her. Women’s horizontal jumps – Five of the nation’s top nine triple jumpers are from the SEC, and all of them are within just over a foot of one another, headlined by freshman sensation No. 3 LaQue Moen-Davis of Texas A&M (43-7¼/13.29m). Davis will also take on a field in the long jump that features the top two freshmen in DI in No. 3 Chanice Porter of Georgia (21-½/6.41m) and No. 4 Davis (20-11¼/6.38m). Women’s 4×400 – With so many highly-ranked teams there’s a very real possibility that the meet may come down to this single event, in which five of the nation’s top 11 teams could be in action – depending upon the lineup each school uses. Florida enters with the nation’s No. 2 team so far this season at 3:31.68, but Arkansas is just behind at No. 4 in 3:31.78. Grand Valley State under the guidance of head coach Jerry Baltes has dominated the GLIAC since the turn of the new millennium, having won 13 consecutive women’s GLIAC indoor titles and 12 of the past 13 men’s titles. The top-ranked 2012 Laker women are the safe pick to keep their streak alive and claim the GLIAC, but the men’s streak is in much more dire jeopardy as the No. 5 Lakers find themselves behind No. 3 Ashland – the only other team to win a GLIAC championship in this millennium in 2009 – and just ahead of No. 8 Findlay. While the race for the men’s title is the main overarching plot line for the meet, the must-see event of the weekend for DII – and one of the most competitive event fields in the nation regardless of division – will be the women’s weight throw. Top-ranked Sam Lockhart of GVSU (69-1¼/21.06m) and No. 2 Jessica Rowland of Findlay (68-11¾/21.02m) will duke it out atop a national-championship-caliber field with 13 of the top 25 performers in the DII weight throw, including nine of the top 10. This isn’t an unfamiliar position for the two – who will also go head -to-head in the shot put as No. 1 and 5, respectively, in an event with nine of DII’s top 25 – as Lockhart defeated Rowland in last season’s NCAA Championship weight throw competition. The men’s weight throw is equally intriguing with the nation’s top three throwers accentuating a field with 12 of DII’s top 25 in the event. No. 1 Garrett Grey of Ashland (67-6/20.57m), No. 2 Darien Thornton of GVSU (66-1½/20.15m) and No. 3 Richard Quick of Ashland (65-6¾/19.98m) will fight for momentum ahead of their showdown at the NCAA Championships in a couple weeks, while the rest of the elite field will try to improve their qualifying position and battle into the top three. The men’s shot put will also feature a stacked field with four of the top ten throwers in DII. A historic battle is also brewing in the women’s pole vault, as two of the best vaulters in DII history – Ashland’s Katie Nageotte and Hillsdale’s Kayla Caldwell – are set to go at it at GLIACs. Both student-athletes have earned USTFCCCA National Athlete of the Week honors this season, and Nageotte last weekend became just the second woman in comprehensive DII pole vault history to clear 14-0 (4.27). Caldwell is right on her heels, however, having cleared 13-11¼ (4.25m) the same weekend, placing her third in DII comprehensive pole vault history. Also in the hunt is Grant Valley State’s Kristen Hixson at 13-5 (4.09m), also putting her among the division’s all-time best. The men’s 800 will also look a lot like a national championship field, as four of the top-five DII runners at that distance could be in the field – all of whom are freshmen or sophomores. Northwood freshman Enock Rono is No. 1 in the division at 1:49.09, sophomore Drew Windle of Ashland is No. 2 (1:49.36), GVSU freshman Ethan Barnes is third (1:49.98) and sophomore Dillon Webster of Findlay is No. 5 (1:50.42). Rono stands as the fifth-fastest performer in DII indoor history, Windle sixth, and Barnes just outside the top 10. The WIAC Indoor Track & Field Championships are to Division III as the SEC Indoor Championships are to DI – except for the freezing temperatures and feet of snow outside. A total 10 ranked teams between both men (6) and women (4) will convene in Stevens Point, Wis., to not only determine the best DIII team in the Badger State, but to jockey for position heading into the DIII NCAA Championships. Expect an exceptionally tight race on the men’s side with the top three teams – No. 1 UW-La Crosse, No. 2 UW-Oshkosh and No. 3 UW-Whitewater – all taking aim at the top ranking in DIII and a WIAC Championship. Each men’s team has its unique area of strength it will look to capitalize upon to build a solid base of points. For UW-La Crosse – going for its 12th-straight WIAC title – it’s the middle distance events, along with the 4×400 and DMR relays and pole vault. UW-Oshkosh has a stranglehold on the throws, and UW-Whitewater’s fortes come in the jumps and hurdles. The meet will be decided in "swing events" over which none of the teams have clear command. The 400 is one such event, with six sprinters from four different schools in among DIII’s top 25 performers in the event, headlined by UW-La Crosse’s top-ranked Aric Hoeshcen (48.71). Those six runners are all within a second of one another, which could spell the difference between 10 team points or three. The women’s meet will feature No. 1 UW-Oshkosh and arguably the greatest DIII distance runner of all time in Christy Cazzola, owner of three DIII indoor records (800, mile and 5000) set this season. While UW-Oshkosh is the class of the conference in the distance and throwing events, closest competitor UW-La Crosse has the edge in sprints, hurdles and jumps, and could pose a serious challenge for the No. 1 Titans. Runners World addressed both the progress of and issues with live streams of track & field meets, while Spiked Up/Psyched Up’s Kevin Liao and the Oregonian’s Ken Goe each discussed the state of track & field journalism.